This French tank has had a number of different names. At the Schneider subsidiary SOMUA factory where it was built the tank design was given the next project code letters ‘CA’. These letters are not an abbreviation. The next projects were called CB, CD, CE etc … All the people at the factory knew the tank was designed by Schneider so it was only known as the ‘CA Char’ not the ‘Schneider CA’. (Char is the French word for Tank). When it was accepted into French Army service it was only known as the ‘Char d’assaut Schneider’ (Schneider assault tank). The factory code ‘CA’ was not used. In an official top secret French Army WW1 document dated 14 July 1918 booklet called ‘Instruction sur l’employment des char d’assaut’, it is only referred to as ‘Le char Schneider’. 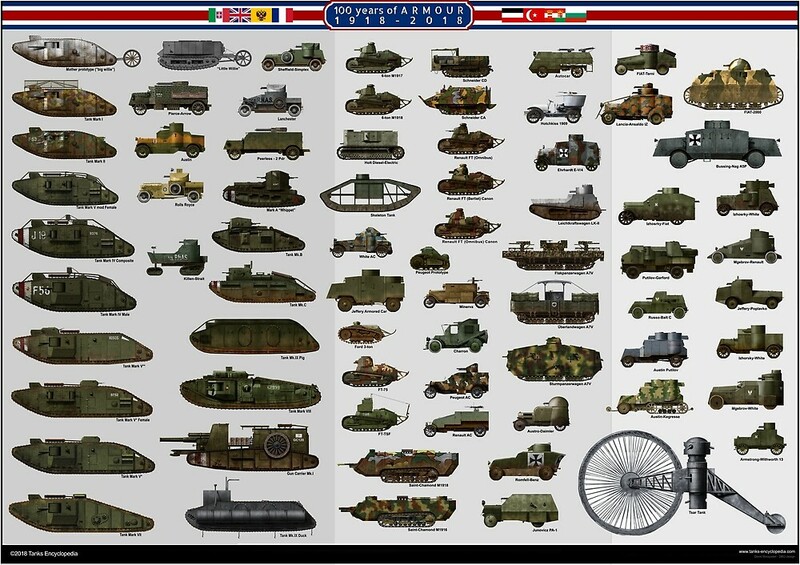 When Schneider started to produce different vehicles for the French Army there was a need to differentiate the tank from the other vehicles in official reports. This was when the factory code letters ‘CA’ first started to be used. When updated versions of the Schneider tank were designed the numbering system CA 1, CA 2 and CA 3. were used in reports to differentiate them. 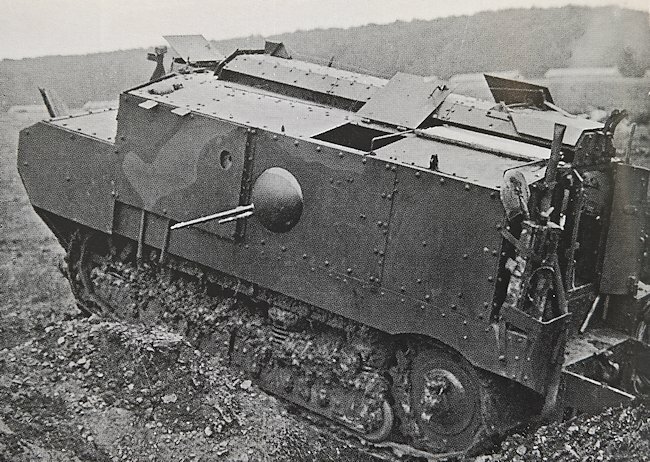 In 1915, the French Army’s Section Technique du Génie (STG) Engineer Technical Section, attempted to improve the cross-country mobility of armored cars by building ten armored tractors on Filtz agricultural tractors. These were intended to crush or cut through barbed wire entanglements, but their combat debut at Verdun in the autumn of 1915 demonstrated their poor mobility in rough terrain. Tracteur agricole Filtz blindéet armé Section technique du Génie, July 1915. It is just a pre WW1 armoured Fergusion-Fordson type farm tractor. It looks like a like a WW1 Armoured car with tractor wheels. This was not the answer. The French Army needed a fully tracked vehicle that could cut a path through lines of barbed wire, cross trenches and deal with machine gun posts to enable the infantry to follow and exploit the breakthrough. Behind the idea of an armored mobile platform for guns and machine-guns are two men on the Allied side. These were Col. Ernest Swinton (United Kingdom) and Col. Estienne (France). Both were strong advocates of the concept, having in regard the stalemate and useless cost of each offensive. In Britain the Landship Committee, presided by Sir Winston Churchill, backed the entire project. This evolved into the Little Willie, itself later serving as a basis for the development of the “Mother”, the Mark I series and later the Whippet. On the other side, Col. Estienne’s idea was backed by President Raymond Poincaré and Marshall Joffre. A commission led by General Janin later approved first orders for the Schneider CA-1. Developed on the basis of the Holt tractor, it was the first operational French tank and the second in the world after the Mark I.
Schneider was a major well-known armament manufacturer in France. It produced guns and ammunition for the army and navy, but also had some armor expertise from their shipbuilding activities. Most French battleships had received Schneider sandwich iron plates since the 1880s. It mirrored Vickers-Armstrong in Britain, but was not of comparable size. 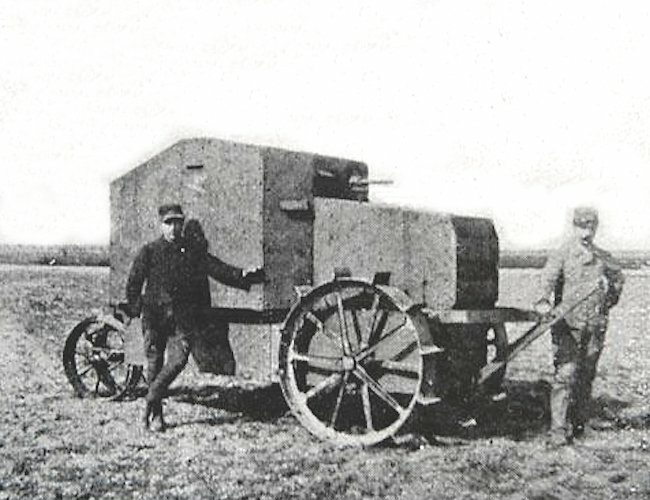 Since the beginning of hostilities col. Jean-Baptiste Eugène Estienne was fascinated with the idea of armored transports that could bring infantry safely up to the enemy trenches. Born in 1860, he graduated the renowned Polytechnique school and began his career as an artillery officer, writing a guidance book to correct artillery errors, presented to the Academie des Sciences in Paris. He worked on telemetric and pointing goniometer devices. Seen as a brilliant pioneering engineer, he was given the development of a newborn Aviation Militaire (Air Force) by general Brun in 1909 at Reims. 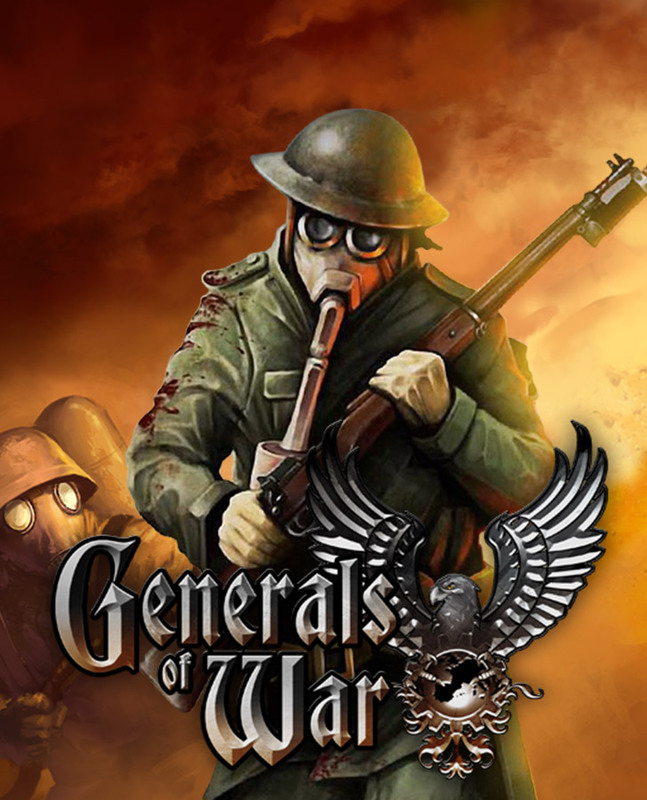 He worked on several tactical applications and even the first “flying artillery” concept. During WWI, he was attached to general Pétain at the 22nd Artillery Regiment based at Belfort. Although directing a successful air guided artillery barrage, he nevertheless saw the infantry cut to pieces by machine-gun fire. On the 25th of August he declared in front of his staff and officers “Gentlemen, victory will be owned by the one of any belligerents which could place a 75 mm gun on a car able to move on all terrains”. 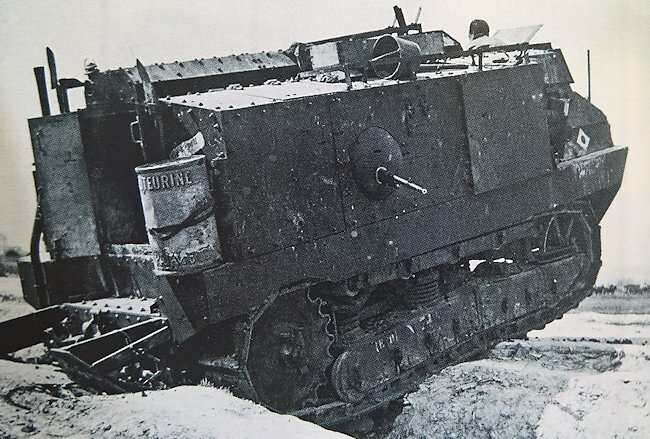 He learnt during the summer of 1915 that Eugène Brillié was already working on an armored prototype able to cross barb wire, based on a Holt tractor. After gaining the approval of General Joffre for 400 orders, he gathered a small team in early February to produce the prototype of the CA-1 on the basis of the Schneider chassis, which was ready within two weeks. After relatively successful tests, Schneider began building the infrastructure for mass-producing the CA-1. This process took quite long. The first units were ready in September. At the same time Estienne was named at the head of the newly formed “Special Artillery” corp. The initial order of nearly 1000 tanks was cancelled and later reissued for 150 medium CA-1 tanks in February. The first unit was ready for combat in April 1917. Later, for his unwavering support for tank development, Estienne earned the Légion d’Honneur as well as the div. general rank in December 1918. 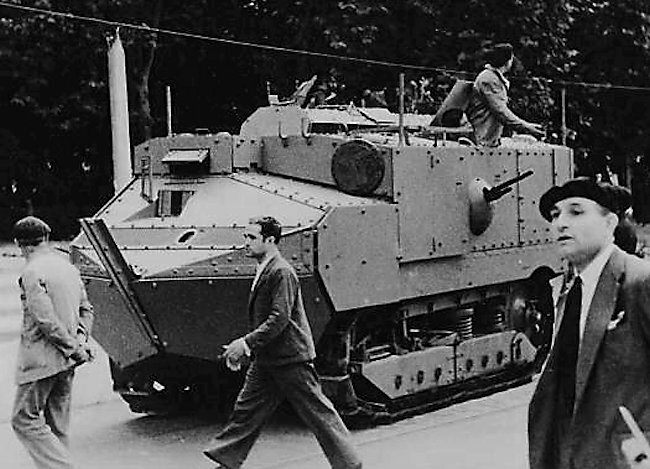 If Estienne was the tireless supporter and promoter of tanks in France, Eugène Brillié conceived the first operational model, through a subsidiary of the Schneider company, SOMUA. A former railway engineer, he founded, with Gustave Gobron, the Gobron-Brililé car company in 1903. He then separated and ran his own company, Brillié Automobile, until it was bought off by Schneider. His department developed trucks and utility cars, tractors and military tools. 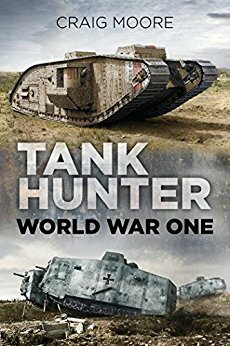 He was first inspired to build a tank after seeing a modified Holt tractor pass through barb wire on difficult terrain at the Royal Engineer Corps during the summer 1915. With the support and ideas of deputy Jules-Louis Breton, he began to work on a machine using this tractor chassis, train and tracks. The original prototype chassis was ready and made its trials on December, 9, before general Pétain and colonel Estienne. Both associated their ideas and led to the development of the first true CA-1 prototype in early 1915. The Schneider CA was designed under col. Estienne’s specifications to carry a 75 mm (2.95 in) field gun to deal with bunkers, casemates and other heavy entrenched positions, and softening infantry with machine-gun fire from the ballmounts. It has to be fitted with a petrol 80 hp (60 kW) engine for a designed speed of 9 km/h (5.59 mph), but finally the Schneider 60 bhp (44.8 kW) engine was retained and placed, with the radiator, at the front. It was based on the well-known American and licence-built Baby Holt chassis, with a massive boxy hull mounted above. 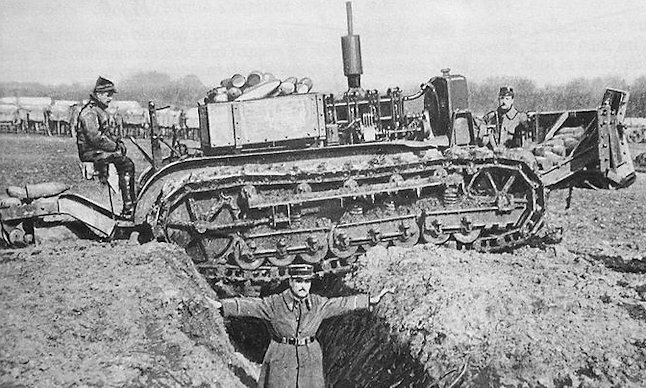 However, the first trials at Souain in December 1915, quickly showed that the original chassis was far too short and was unable to pass even relatively narrow trenches. To find a better engine and longer tracks, the Holt 75 hp (56 kW) engine was chosen instead and the entire plan was redrawn and, at the same time, production was shifted and reorganized at the SOMUA factories near Paris. To keep the hull compact but allow the crossing of larger trenches, a tail “sabot” was fitted and a track on the front to crush and cut trough barb wire. The sides were flat, lightly armored but later protected by a double sandwich plates arrangement. The front was sloped, not in order to deal with enemy shells but to clear the view of the driver in the nose and secure large openings for the barbette gun. With its tail and angled prow, this tanks superficially looked like an “armored ship mounted on a caterpillar” as some officers wrote. Joffre himself, whom authorized 400 to be built, called them “land ironclads”, a reminder of the popular British denomination of 1915. Despite its longer tracks, the final CA was very cramped and access through the rear was difficult. Driving was assumed by three forward and one reverse speed gearbox, plus steering differentials on the rear axle, linked to the engine at the front by a central driveshaft. The first batches of CA-1s were ready for action on April, 16, 1917, just in time for the Nivelle Offensive, at Berry-au-Bac (part of the Chemin des Dames general offensive). 132 tanks, almost all models then available, were engaged. But the result was a disaster. 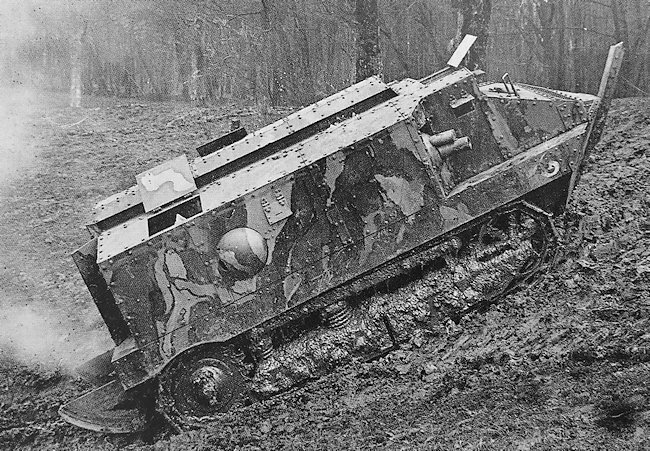 Many found the rough terrain was too much for their tracks and their forward rail acted to overhang the hull, prone to ditch itself in any solid obstacle. The engine was not powerful enough and many broke down at the very beginning. The others advanced in broad daylight and the Germans deployed a lethal artillery barrage, and used field guns at short range in direct fire, firing on flat trajectories against tanks which were designed to only sustain machine-gun and infantry fire. Eventually the Germans quickly learned to target the exposed forward gasoline reserve and many burst into flames, earning the infamous nickname of “Mobile Crematoriums”. A total of 57 CA-1s were lost that day. 44 broke down at the start and the remainder managed to reach their objectives, breaking through German first and second lines. However poor coordination meant that the infantry failed to support them and retreated. Only 56 survived. The entire, futile offensive, was a disaster and Nivelle was sacked and replaced by the more cautious Pétain. Later on, in 1918, available Schneider CAs were reorganized into twenty Artillerie Spéciale units and given to then general Estienne. They participated in some minor offensives, with infantry support, but were progressively phased out to the sole profit of the light FT. As the production ended in August 1918, many were retired into training units or used as supply tanks. The 400 originally ordered by general Joffre were delivered by Schneider and most later production models were modified following acquired combat experience. Notably, the high up, gravity-feeding gasoline tanks were moved rearwards and armor somewhat increased, overloading even more the engine. The last were unarmed and the free space was used as additional storage (“Char de Ravitaillement”). They were used to safely supply advanced units in enemy territory. The frontal rail was usually shortened or even removed. Italy, which was interested, bought a single unit, but after trials preferred the more advanced FT 17. After the end of hostilities, some six were sold to the Spanish and served with colonial forces in Morocco, serving actively against local rebellions until 1926. They were later engaged on the Republican side near Toledo in 1936. They were, by then, hopelessly outdated. No Saint Chamond actually fought outside France, despite some rumors that a handful were sent to the Polish forces fighting against the Soviets in 1919. The sole survivor was sent to the US Aberdeen Ordnance Proving Ground for evaluation and tests after the war. It was given back after a 67 year loan and arrived in France in 1985 along with the Schneider CA that had also been on loan. Both are on display now in the Saumur museum (Musee des Blindes). It is in a running condition tank. 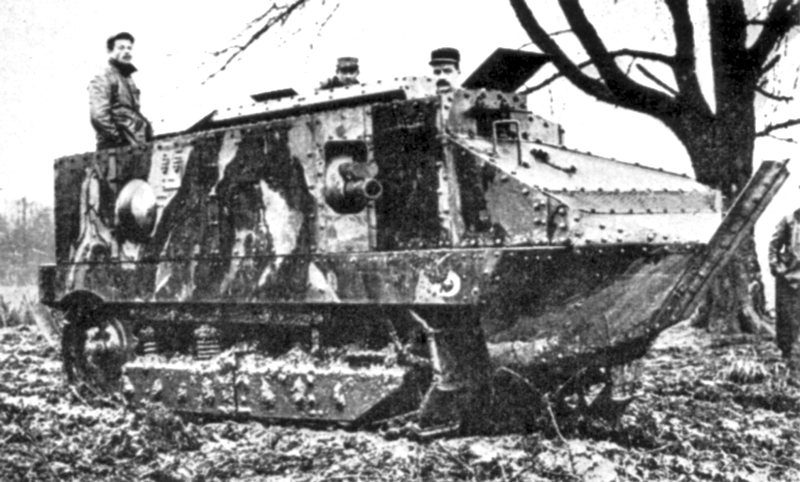 One of the first Schneider CA-1 tanks engaged on the front, April 1917, at Berry-Au-Bac, part of the disastrous Nivelle offensives. The olive livery was not a standard one, but it was the standard factory paint. When the first units arrived they were put in combat in such haste that most of them appeared in this livery. A late 1917 CA-1 in February 1918, in a training unit near the front, freshly camouflaged with an unusual pattern of sand, dark brow, khaki green and pale blue over a dark blue-grey basis. Later these took part in the July 1918 offensives launched by Ferdinand Foch, were 350 French tanks were committed. The last Schneider CA-1s committed in action were the ones participating in the August French counter-offensive under General Gouraud’s command, after the failure of the Ludendorff summer offensive. The livery is the one used in early 1918, with bright colors separated by blacks lines, creating a paving effect to disrupt shapes. But these colors made the tanks even more visible on a uniform grey-brownish battlefield. The French usage of playing card symbols to identify units by their letter stuck until WWII. A Schneider CA “Char Ravitailleur”. In mid-1918 all early production models which had survived were sent to training duties and, later, most of the late production CA-1 were converted to supply tanks. Their superstructure was altered, they gained extra armor, lost their heavy blockhaus gun which was replaced by a new hatch and also had their machine guns removed. 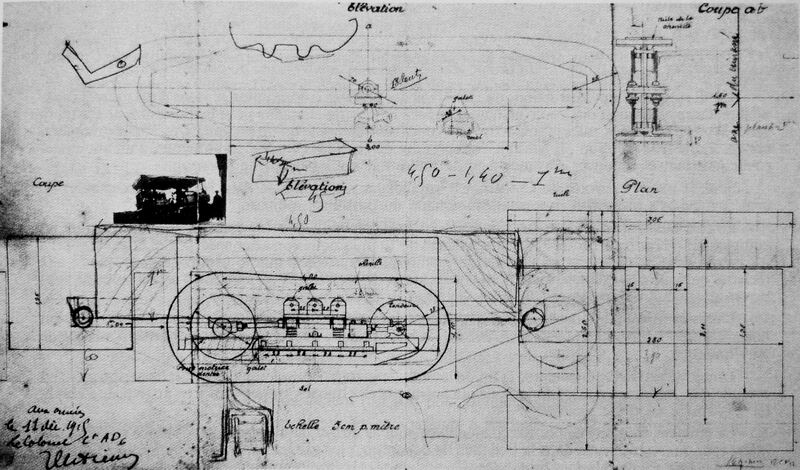 Col. Estienne’s drawings from December 1915 of a tank built on the Holt tractor. However, the entire project was designed by Schneider engineer Eugène Brillié. 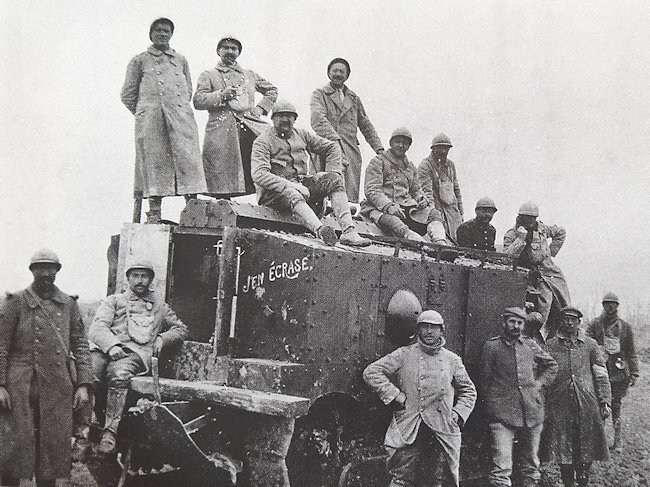 After defeats against Berber rebels in the Rif War, also called the Second Moroccan War, six Schneider CA1 tanks were sold to Spain on 16th September 1921 as part of a joint French-Spanish effort to subdue the newly independent Rif Republic in Morocco. 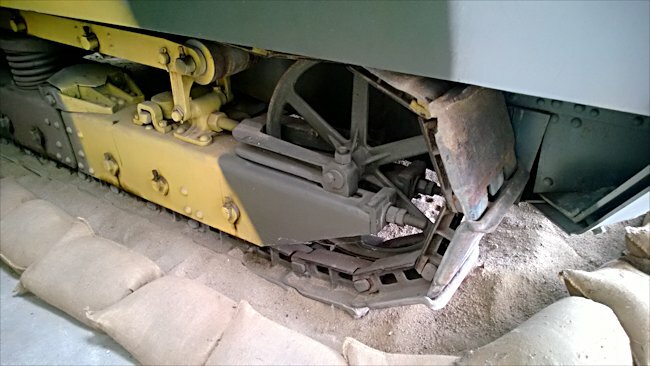 The Spanish Army renamed the tank the Carro de Asalto Schneider M16 and modified by the addition of a driver’s visor annex gun port in the front glacis plate. They provided close support fire from the 75mm Blockhaus Schneider gun and 8 mm Hotchkiss M1914 machine guns on 14th March 1922. 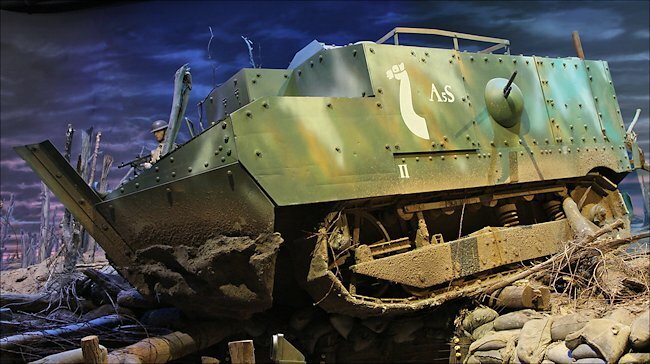 This was the first time a tank had been used by the Spanish Army. Spain had also purchased some Renault FT light tanks. The Spanish Carro de Asalto Schneider M16 (Schneider CA-1) tank was viewed more as a self-propelled artillery gun rather than a tank and was therefore issued to an artillery assault battery. They returned to Spain in 1929. None of them had been lost in action. These tanks were now nearly 13 years old and had started to show signs of old age and suffered regular mechanical breakdowns. They were down graded from frontline battle ready status and used for training tank crews. Four were part of the depot of the Regimiento Ligero de Carros de Combate N° 1 at Madrid, a Renault FT unit, the other two were part of the depot strength of RLCC N° 2 at Zaragoza, the other Renault FT unit. When the Spanish Civil War started, the Regimiento Ligero de Carros de Combate N° 1 at Madrid, remained under Republican command. The RLCC N° 2 at Zaragoza took the side of the Nationalist rebels. 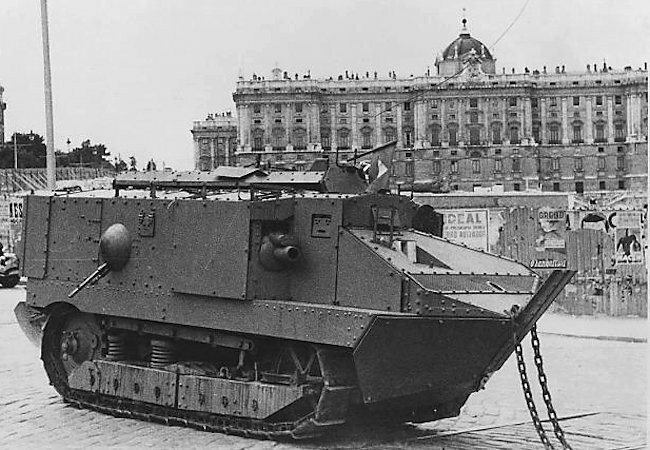 The Spanish Carro de Asalto Schneider M16 (Schneider CA-1) tanks in Madrid were used in action during the attacks on the Cuartel de la Montaña, the main military barracks of the Madrid. The Zaragoza Carro de Asalto Schneider M16 (Schneider CA-1) tanks participated in the initial fighting. The fate of the tanks is not known. 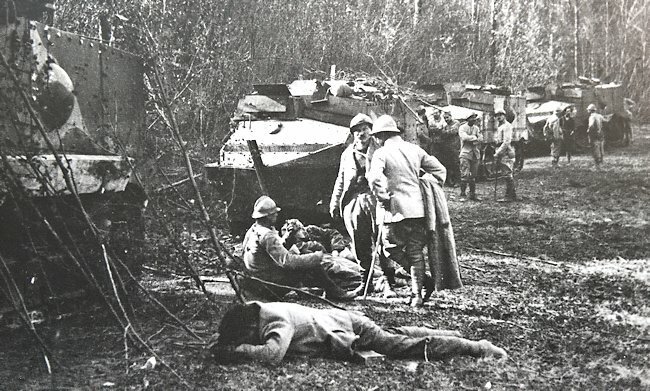 The Reparto speciale di marcia carri d’assalto, was Italy’s first tank regiment. It was formed in the summer of 1918. It had one French built Scneider CA-1 and three Renault FT tanks. 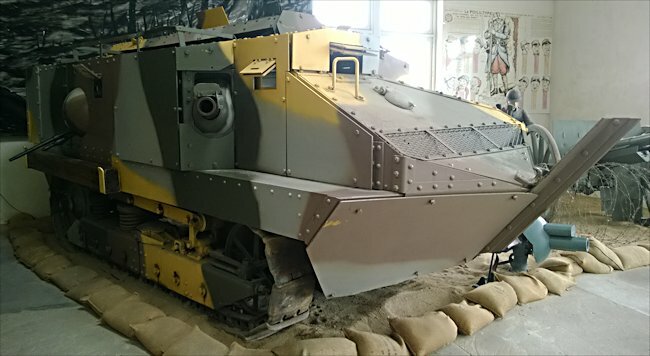 In November 1918 the Schneider was replaced by the first Italian built tank the Fiat 2000.